Cyber punk sub-culture is a thriving form of modern popular culture among the young adults across the world. There are various means to express such culture and one of the best ways it through textual messages. 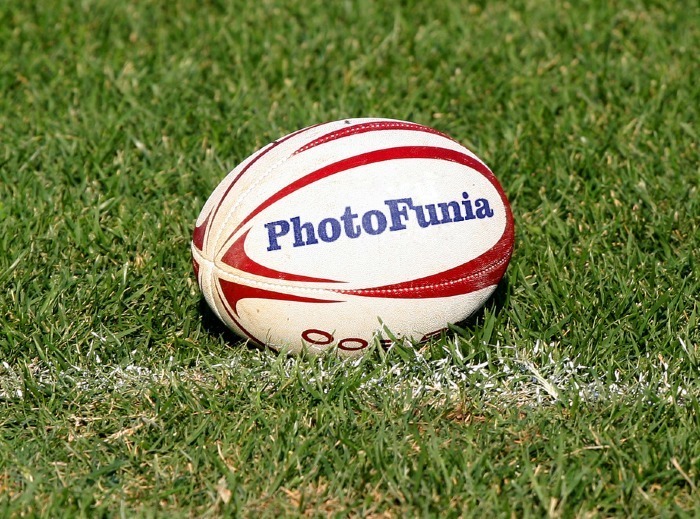 Photofunia is here to help to get a message across in a creative manner. 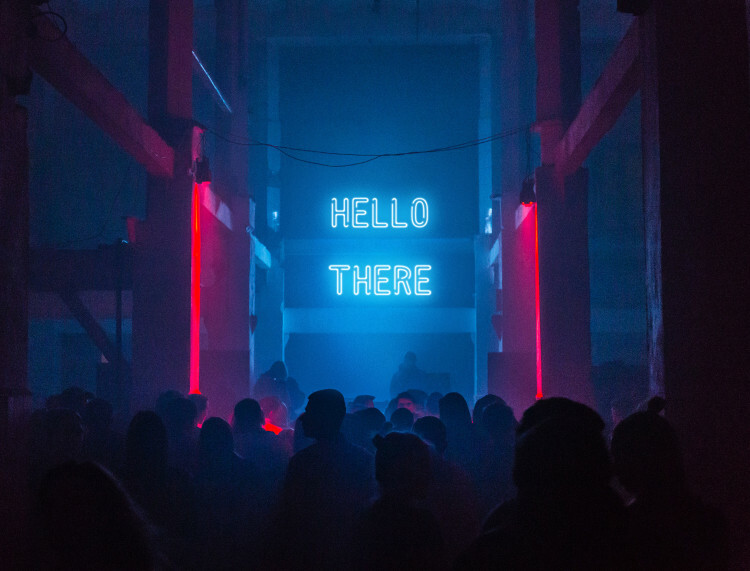 With our Neon Writing effect, choose up to two words one on each line to create a message in a neon style above the stage of an underground nightclub. Impress your friends with a special message today! If you like receiving or giving guidance, you should like this effect from PhotoFunia. 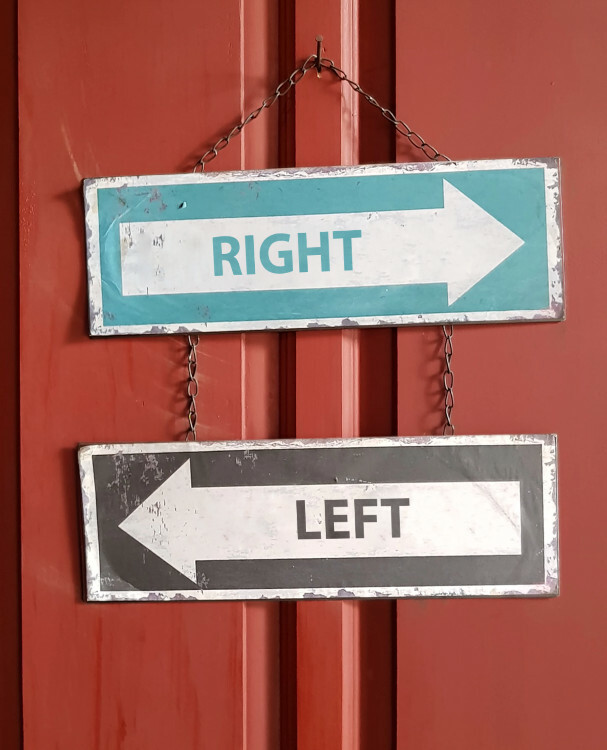 With Arrow Signs effect, you can give directions left or right or both sides at the same time and leave a special short message. Now you can feel more in control by giving directions to your friends or even yourself while being creative. Give it a got today and share it with your friends. Depending on our culture and custom, we know that there are a number of main elements on earth and nature commands them. People have always tried to replicate and use these elements. 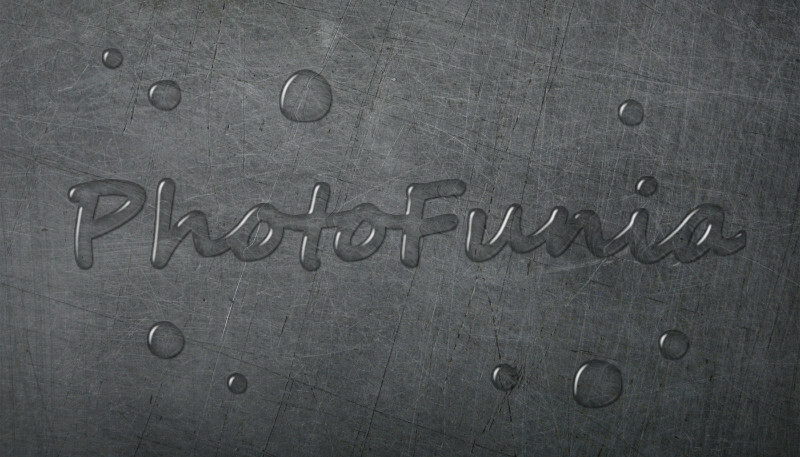 Now, with help of PhotoFunia you can use the water to write any message you wish on a metallic background. Simply type your text and let the power of water transform it into a message written in raindrops. Give it a go today and impress your friends with water writing effect! Everyone who loves fashion loves unique items of clothing. Jewelry play an important role in fashion and especially if it's personalised. 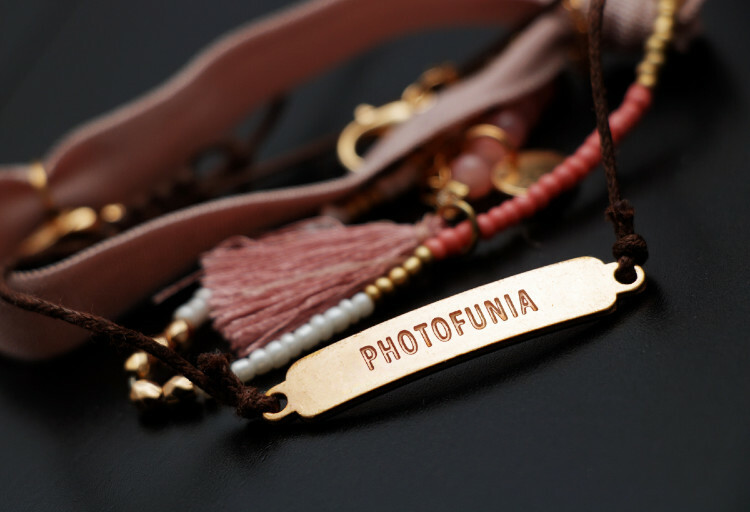 With this effect from PhotoFunia you can engrave any personalised message you wish on piece of jewerly, by simply entering your text and in seconds your text will appear on the shiny metallic bracelet. Give it a go and share it with your family and friends. Another popular form of art which has been trendy is the chalk board. The artists express their ideas on the blackboard simply using a white chalk and produce a combination of textual and pictorial works. Such is the simplicity of this form of art that anyone with a black canvas and piece of chalk can get involved. At PhotoFunia you don’t even need that to become a chalk board artist. 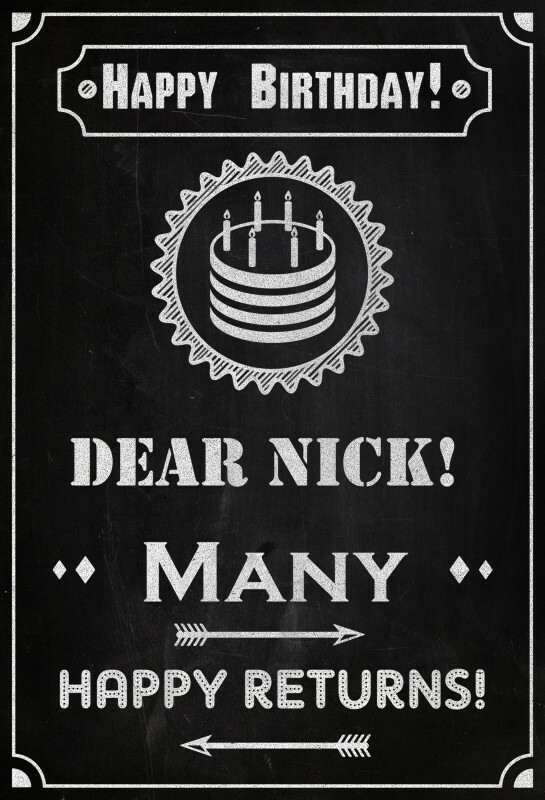 With the chalk board effect you can even produce a unique letter of invitation to a wedding or a special event and even print a hardcopy to send in an envelope. 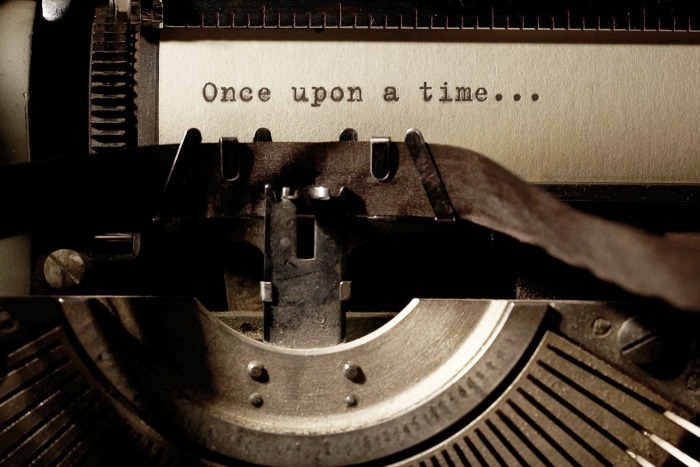 All you need is to enter a textual title, pick a symbol out of twelve available and write up a small text passage of no more than 4 lines. Next, in a matter of seconds this effect will randomly apply various fonts and texture to your text which will result in a unique chalk board message. Try it today with various symbols and texts, the variations are limitless! Everyone likes receiving unique messages on various backgrounds especially when the canvas is less traditional. You might think of a message written on snow or by a plane in the sky as some of the most unconventional messages. 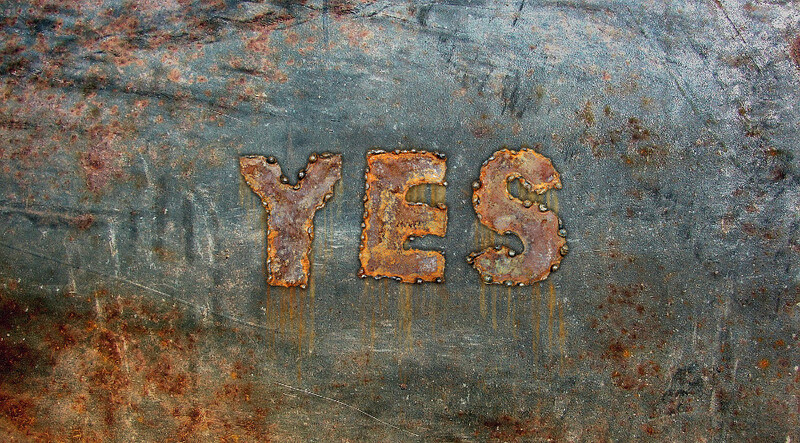 How about a message written on a piece of hard metal using laborious metal works and natural rust to create each letter? Introducing rust writing text effect where each letter is meticulously wielded to create an industrial message written in rusty metal letters. Simply enter the text for your special message and choose the background from the 3 different types of metal and let PhotoFunia do the rest. See how fun it can be and try it today! I have come across many effects in my life. Some were radiating with light just like a shining colourful billboard offering me to purchase a car. 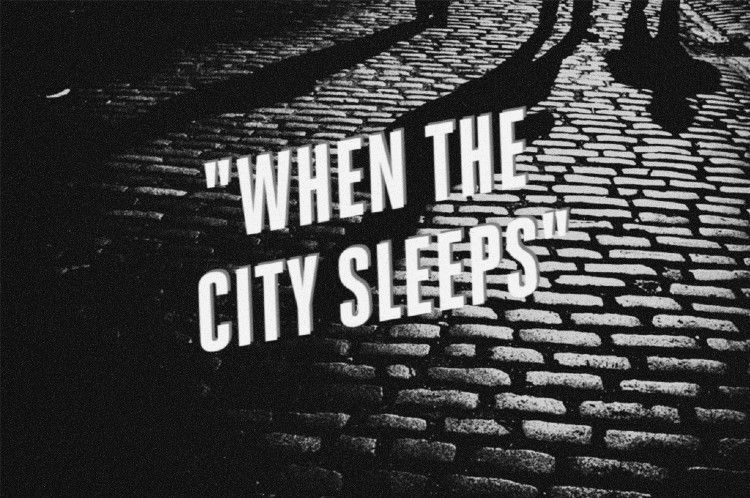 Some were dark as the night streets of Brooklyn. Some were even encouraging me to draw a smile. Ha, they don't know who they're dealing with. Some effects were even moving, similar to moving pictures a hundred years ago. Still something did not feel right, I was not part of these effects. Until, once upon a time once wondering off into a familiar place, my eyes noticed something I've not seen before, a new effect called "Noir". Where could I have seen it before? Looking at it, I felt the same isolation and darkness that I have seen inside my soul. I finally found what I was looking for, I found a part of me, thanks to PhotoFunia. Ever wondered how a portrait of you would look like on a huge billboard suspended from a building? 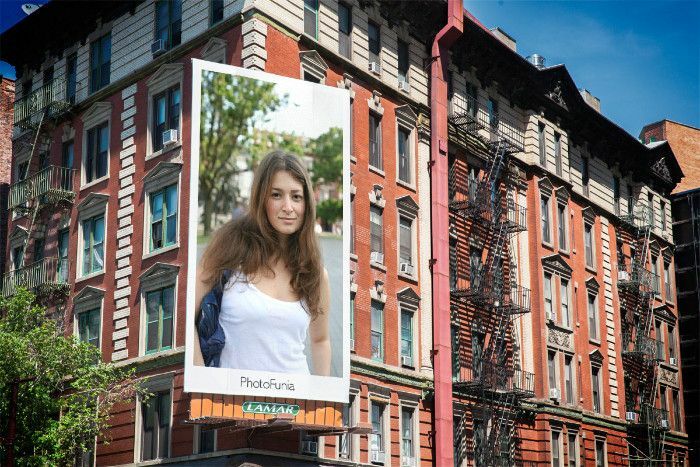 Create a billboard with your portrait while adding a custom text message to have it displayed as a billboard hanging from a building on a sunny day in a city. Simply upload your picture and add your custom text and let the magic happen! Winter is a magical time for most people since they were kids encapsulated by snow covered landscapes, frosty fresh air and smell of burning firewood. Since we love this season here at PhotoFunia, we have come up with a frosty way of writing all your winter messages. 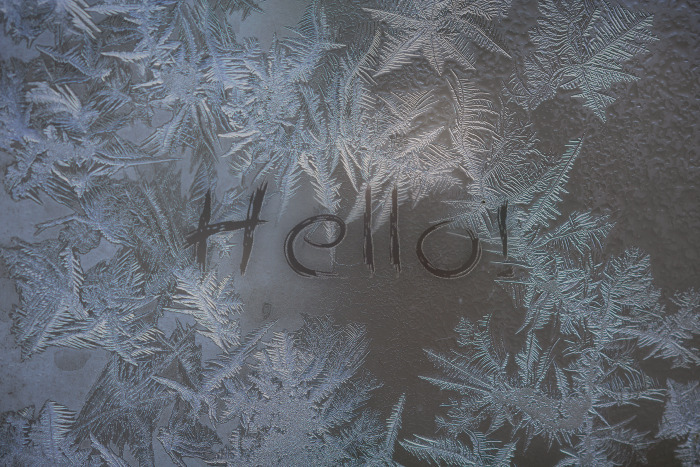 You can now write your seasonal messages on a frost covered window from the inside of a warm and cosy home. 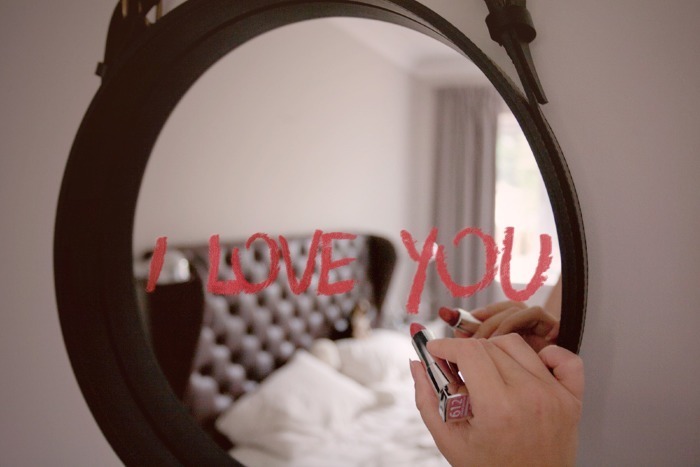 Leave a message written with red lipstick for your beloved one.